SKU: 2080. Categories: Shop All ThinLine Products, Endurance Saddle Pads, Dressage Equipment, Horse And Rider Tack, Girths and Cinches. 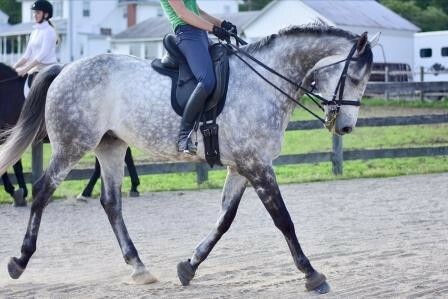 Tags: horse girth, short girth. Exceptional for girthy or cold backed horses. 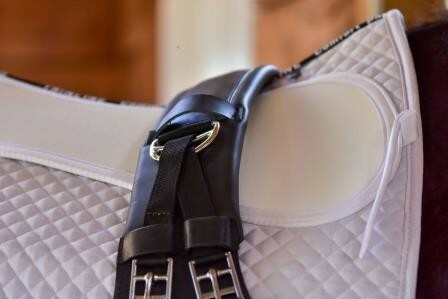 The Best non-slip girth solution. Made of 100% Trademark ThinLine foam against your horse. Softness with ventilating breathable technology. Distributes pressure evenly with its unique stabilizing D ring system. Stainless steel roller buckles with leather reinforcement tabs. Anti Bacterial and Anti Fungal for healthy skin and use on multiple horses. 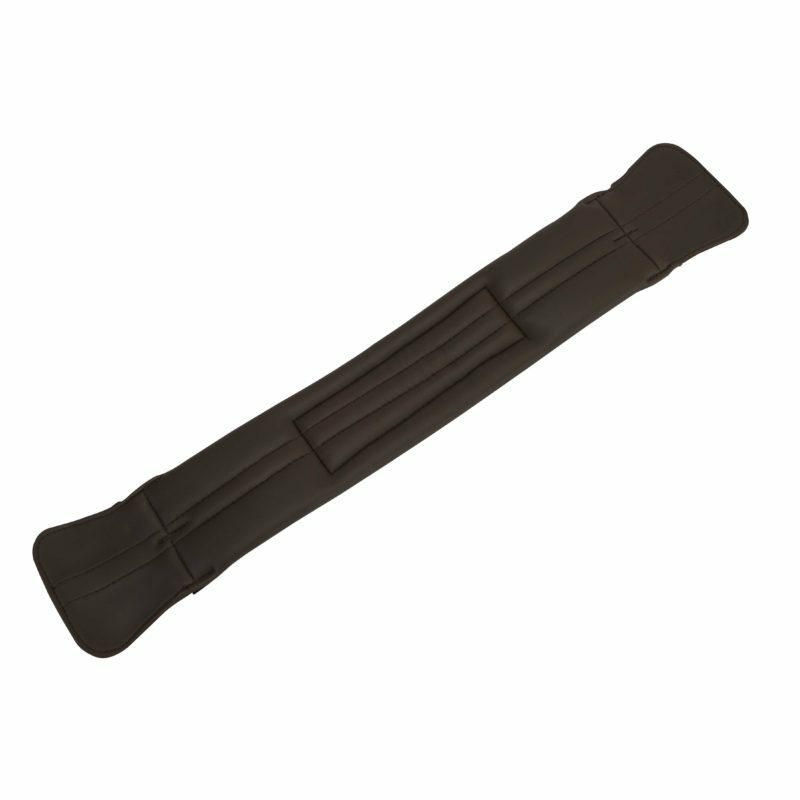 Available in Black in 20″-34″ lengths in 2″ increments. 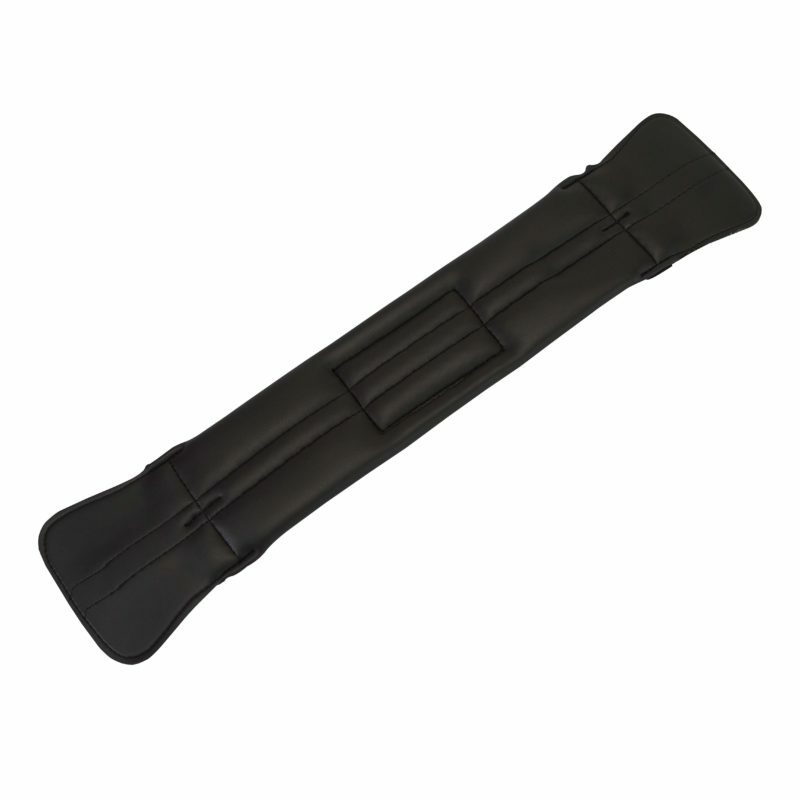 The ThinLine short girth is often purchased for its non-slip properties. It is a very effective non-slip girth but it might be most famous for its ability to mold to the curvature of a horses’ girth. It creates comfort riders swear by. Riders also love the easy care, simply wipe it down with a baby wipe or add a little dish soap to a cloth. So go ahead, get sweaty, let the arena mud fly. Have some fun with a happy horse. Care instructions: We recommend the use of ThinLine Cleaners for these products, as they have been tested and are completely safe for the ThinLine foam lining and do an excellent job of cleaning the leather in an all natural product. Or just wipe with soap and water. Easy care, long lasting. Please do not use oil based cleaners like Lexol. Oil will harden the ThinLine material and you want it soft for years! Q Does this girth have elastic? A Thank you for your question! This girth has no elastic and is made almost entirely of ThinLine, which has some give and always rebounds into original shape. It's also designed to distribute pressure evenly with it's stabilizing D-ring billet system.